Nice Hotel with very nice reception when we checked in with our dog Che. We travel with a small dog so we normally stay at Ibis hotels as they are Pet friendly and constantly nice hotels. very comfortable night in Moulins. Receptionist not very sympathetic to my limited french thus we could not find the hotel parking which was, in fact, just next door. Good bathroom. Bed comfortable but too large for the room, had to squeeze around it. Excellent breakfast included . Charge for dog was 10 euros which was not clear on the site. Value for money poor. Breakfast good. Rooms overpriced. This is a lovely hotel with a very welcoming feel. Tea, coffee and pastries are available in the reception area, which is not something I have come across before in France. The breakfast was varied and there was plenty of it. The room was comfortable and air-conditioned, with a large en-suite bathroom. The only criticism I have is that the room was quite small - I couldn't walk round one side of the bed without moving the curtains as they are so close. There was also not a great deal of storage. These are minor criticisms and I would have no hesitation about staying there again. It was a good stop with the car park just behind the hotel. The location in city centre is perfect to visit on walk. The desing of the Ibis Styles is pleasant and quality of the bedroom it quite with a very good bed. Very small rooms. Difficult to find any place for suitcase. Difficult to undress and dress. Where should you dispose with your clothes? My stay was fairly comfortable. The staff were courteous and friendly, and breakfast was fine. I have a couple of criticisms. The room was single, yet contained a double bed; this meant that the remaining space was cramped, and the clothes hanging space rather limited. It would have been nice to have a choice of pillows; the only ones were 'medium' but I would have preferred a thinner one. Arrived late, room was clean but very small. Had to move the small amount of furniture around so I could get into the bed. 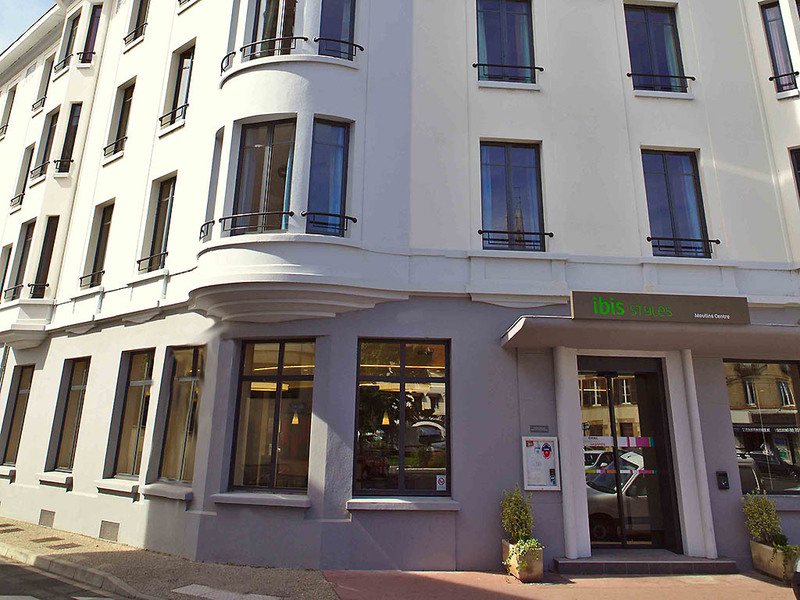 Good and quiet hotel in city center of Moulins, with free private parking. Close to Place Allier, where you find all kind of restaurants and shops. Small but good rooms, good Wifi, and satelite TV. Nice hotel. Great staff. Nice themed rooms. Old fashioned bathroom. A bit pricey. Nice hotel and nice people but the room was very small. Small room and no air con! Friendly staff but this must be the smallest hotel room we have ever stayed in. Unfortunately our stay coincided with a heatwave and without a working aircon this was not the best Accor stay we have had.